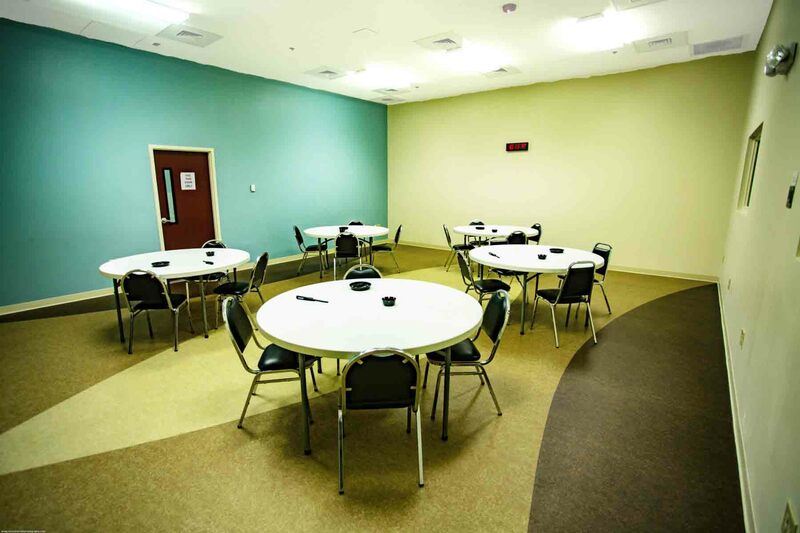 Our facility is designed with two fully independent research units, configurable to specific study needs. With more than 100 beds, our configurations range from intimate, safety focused smaller dedicated spaces for First in Human studies to larger pharmacokinetic studies and a separate unit for tobacco/nicotine harm reduction evaluation studies. 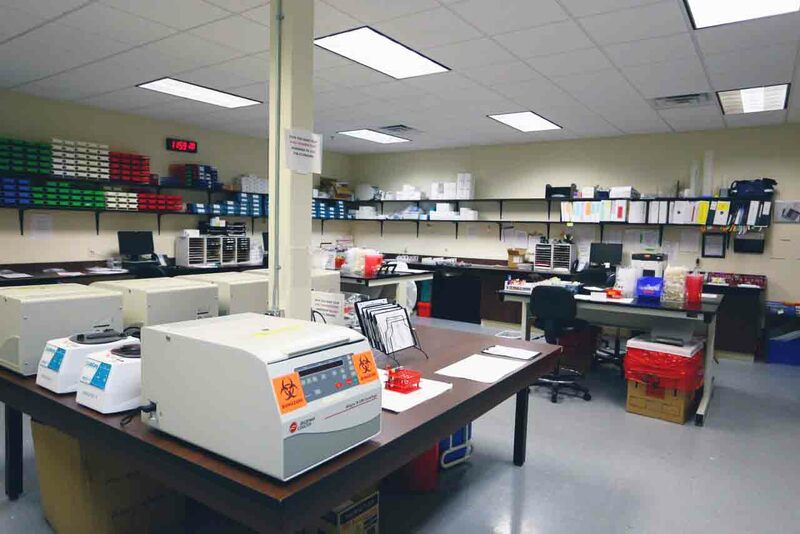 The research facilities are well-designed, with large, spacious areas for study conduct, centralized nursing stations and safety monitoring of all areas. Participant amenities include dining and recreation areas for relaxing and entertainment. Participants enjoy wi-fi access and internet services, relaxation areas for volunteers to watch movies, play pool and foos ball, and enjoy our outdoor park setting. Our recruitment staff personally discusses volunteer opportunities during in-depth telephone screenings to ensure each potential subject is aligned to the clinical trial. Our extensive medical histories contribute to our successful track record of excellent recruitment. 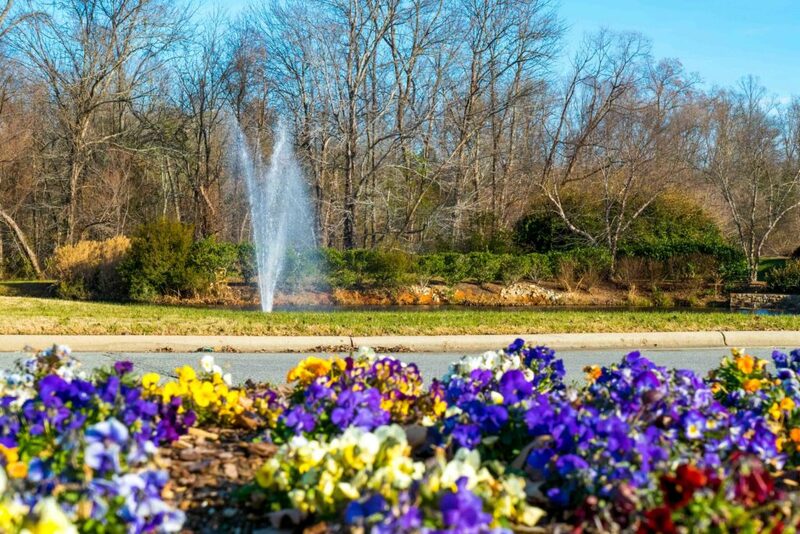 The Triad metro comprises a population of over 1.6 million people that are contacted regularly by our professional advertising and marketing team. 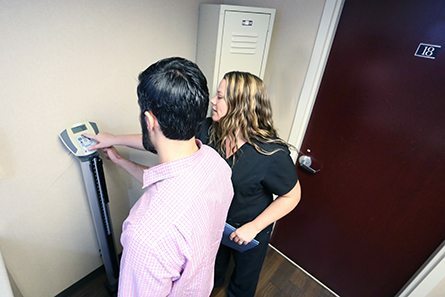 Our facilities, and more importantly, our staff contribute to a caring, comfortable and safe environment for optimum recruitment and retention of healthy normal volunteers as well as specific therapeutic populations supporting Phase I-III clinical research studies in both in-house and outpatient study designs. In order to facilitate the significant number of smoking-related clinical trials we conduct, we have built one of the industry’s largest smoking chambers. This dedicated area has the capacity for in excess of 30 smokers simultaneously. The sophisticated air handling unit provides 2000 cubic feet per minute of air exchange, ensuring a safe and comfortable environment. Access is through an airlock to control smoke and air exchange. This model unit complies with all local, state and federal regulations. Our pharmacy staff prepares and dispenses drug product for studies that are dosed across multiple routes (oral, sublingual, intranasal, intravenous). Our facilities include a dispensing pharmacy and preparatory pharmacy overseen by our full-time research pharmacist. We use a preferred local lab for all our laboratory services and screenings. amples are couriered from our location every day they are collected and arrive at the lab less than an hour from pickup. 24 hour turnaround of results is guaranteed for safety labs, often returning the same day as collection and there are also STAT lab result options as needed. 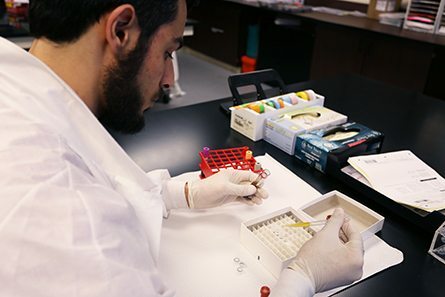 Results are emailed to all Lab Staff and Investigators automatically upon completion of testing and are also available in the lab’s web-based portal. Complete Data Transfers can be arranged upon request of the Sponsor/CRO. High Point Clinical Trials Center supports the important role study monitors provide by ensuring each study meets the specifications in execution, safety and quality. To facilitate the job they do, we provide monitors with separate, comfortable, private office space. 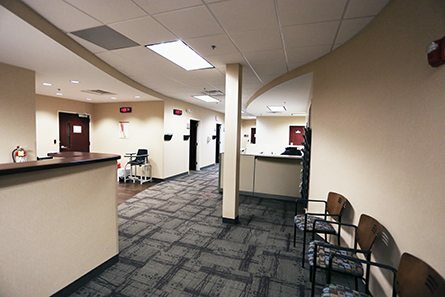 This space is equipped with phones, WiFi and easy access to scanners, copiers and printers.